At this point, you probably already know the importance of SEO and the effects it can have on your business. These days, if you want to rank your website high, you need to be SEO savvy and know how to use some of the effective SEO tools. Before you begin with SEO though, your website should naturally be high quality and user-friendly. This helps with all aspects of your business and in general, the smoother the usability – the better. A strong user experience (UX) is also important for your online marketing ventures. But if you run a business that primarily deals with people in your local area, there is one other important part of SEO you have to deal with. And that is something called local SEO. 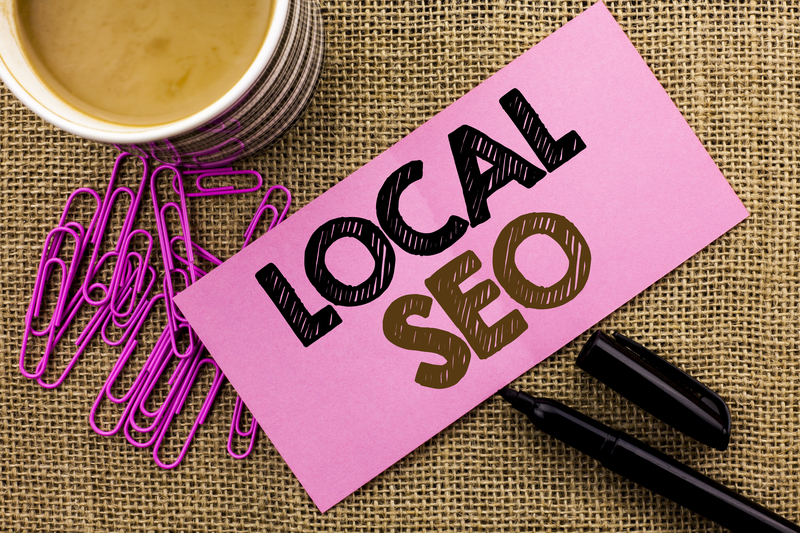 In short, local SEO is all about optimizing your website for your near audience. This is ideal if your target audience is within or near the same city as your business, you need to make sure your local SEO is on point. This is an effective way of marketing your local business online. And in this guide, we’ll be looking at some of the key steps you can take in order to start showing up in your city’s local searches. The first thing you need to is to get listed locally. Once you create your business profile you’ll soon be on your way to attracting new customers. This step is fairly straightforward and doesn’t take long. Once you enter your location information, you’ll need to provide some verification and then you’ll have your business listed on Google. What’s important here is that you fill out as much information as you can. When getting your business listed locally, you should make sure your website is easy to find. On every web page, include your business name and the cities you operate in. Your title and meta description tags are still just as important, of course. And they should include your offer, contact details, business description and more. A big part of local SEO is having accurate and up-to-date information in case customers want to call. This, in turn, speaks about your trustworthiness, appeal, and their first impression. Did you know that 88% of customers treat online reviews as personal recommendations? This is also the case with local SEO listings. Positive reviews can also affect the perception your customers have toward your business and drastically boost sales. For your small business, your reviews could be the only thing standing between a new customer and you. Social proof is essential if you want to remove any hesitation of new consumers. Before they take the plunge and opt-in, they need information and feedback. And with the help of the internet, this is all easier to access than ever. So, ideally, you should place any and all social proof right in front of their eyes to remove any hesitation they might have. To do this, you can also look into getting listed on TripAdvisor, Yelp, and other similar websites depending on your niche and industry. Over 97% of consumers read online reviews so you can’t go wrong with listing your testimonials proudly. Consumers are eager to learn more about your company and product. All this because people need affirmation. And whether it be through local Google listings or some other platform – it’s your responsibility as a business owner to give it to them. Social media is a classic way to communicate and engage with your audience in a personalized manner. In addition to that, it’s also a great way to gain more exposure, followers, and sales – through paid campaigns or the organic way. When trying to establish a social media presence as a small business, focus on creating a visually appealing business page first. Getting the basics right and using the correct keywords can already let your potential customers know what you’re about. With your new-found followers on social media, you should then focus on sharing a lot of relevant information about your business they might want to know about. Things like your product, description, news, and more. Essentially, all things they need to know about your business they don’t have to seek out. In short, post regularly, and engage with them online. But also be sure to encourage local interactions through social media. In other words, point them to the relevant places and how you can help them locally. If this hasn’t already been part of your bigger inbound marketing guide as of yet, then you might want to consider setting up a blog. Your blog isn’t a place where you sell your products. But rather, it’s a place where you share helpful and educational content. Whether it be in the form of blog posts, articles, e-books, and more. When doing so, you’re presenting yourself as an expert on the subject and this makes your potential customers more likely to trust you. Additionally, by providing actually helpful and valuable content free of charge – your customers will be more likely to trust you (and leave positive reviews). Tell your own story and explain why your local community or neighborhood is an integral part of your business. If your customers connect with that, they’d be more likely to seek out your services. Finally, after all is said and done, once your web pages and content are ready – start optimizing them for local searches. Optimizing a site just means making it easier for Google to find all the relevant keywords used and the information people are looking for. Ideally, your content should be relevant within your niche and what your customers want to know. But to take this a step further, they should also be relevant to your local area and searches. For example, if people are looking for interesting things to do within your area, your web pages coming up as the first searches could be the deciding factor for a sale. Of course, your local listing reviews and social media activity help here as well. All in all, just because you’re a local business doesn’t mean you can’t benefit from optimizing for search engine results on the internet. And when you’re listed locally on Google, have positive reviews, engage your customers on social media with thoughtful and optimized content – you’re making it easier for customers to find you, and trust you. 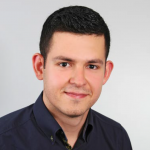 Uwe is the founder of online invoicing software InvoiceBerry. Small businesses and sole traders can create, send and manage their invoices, quotes and credit notes with the tool or simply download a free invoice template in seconds. In his free time Uwe travels the world and enjoys experiencing different cultures.